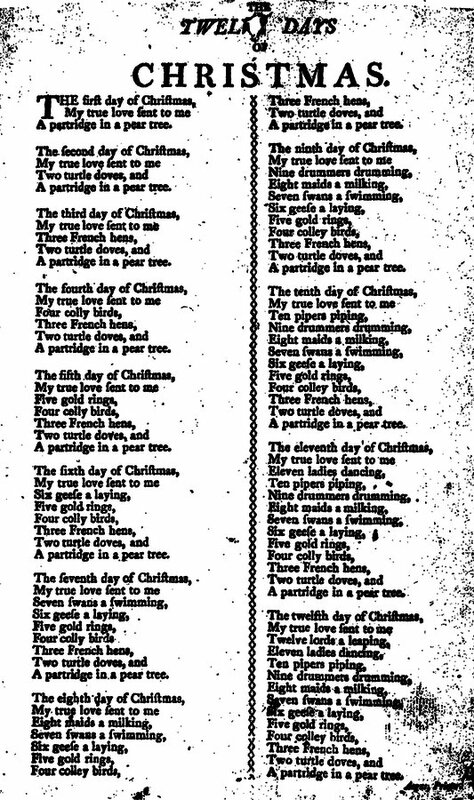 The Twelve Days of Christmas was first published in England in 1780, thought to have French origins. It's a "cumulative song" in which each new line is added to the previous verse. Enjoy our collection of Christmas Carols! Enjoy our selection of Christmas Carols, and Christmas Stories, Books, and Poems. For more counting practice, check out Pre-K Wordplay! 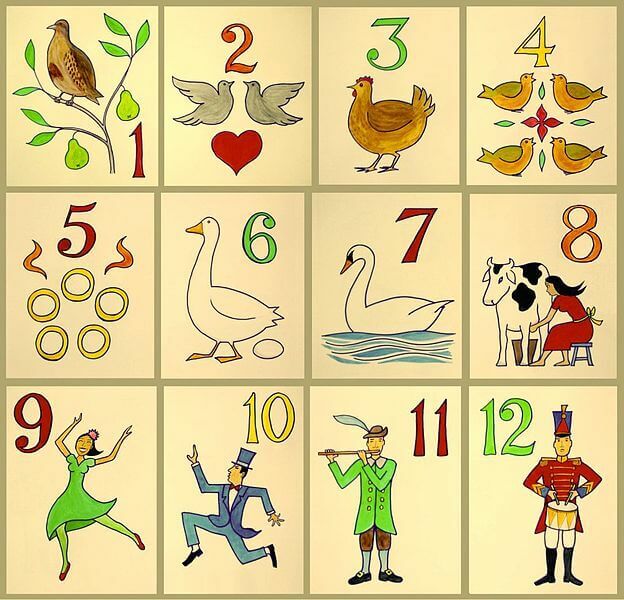 Add The Twelve Days of Christmas to your own personal library.